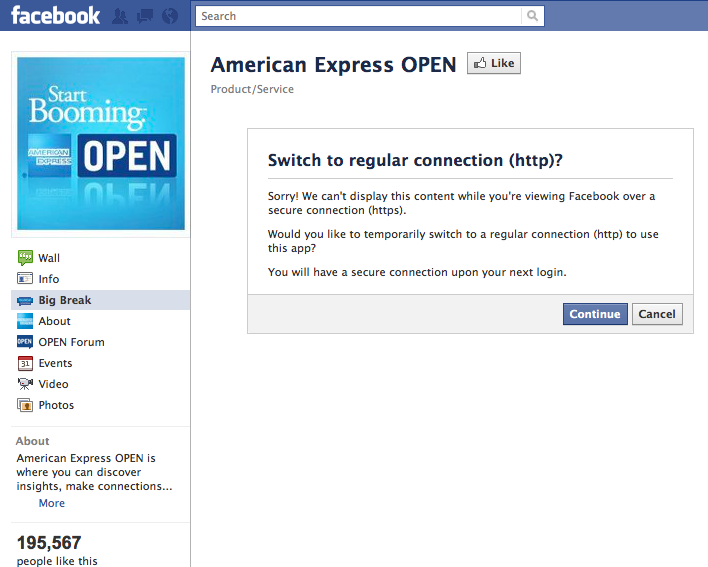 American Express want users to switch to a vulnerable non-secure connection just to see their ad? How is this going to get them conversions? Are they not monitoring their bounce rates? 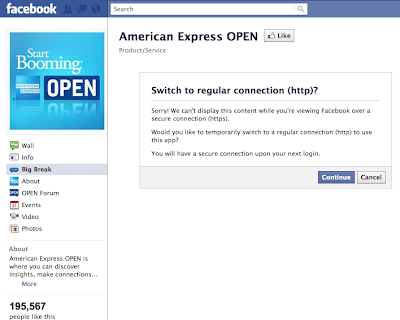 Novice User Reaction: American Express isn't secure? They can't communicate with me over a secure connection? For just $50 a year they could have gotten a banking-grade SSL certificate that would have solved this whole problem letting security conscious users pass through to their content. You could make the point that a smaller chunk of Facebook users use HTTPs, but is this where you want to trust your digital marketing dollars? Why cut off ANY of your target market to avoid a 50$ fee when you're spending millions, especially if you're a financial institution with security concerns. 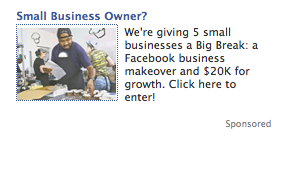 The Lesson: If you are unloading tens of millions of dollars on digital advertising you should know your stuff. And just in case you screwed something up you should be measuring the bounce rate of every user click. Either of these two best practices would have made their advertising budget at least 2x more effective. Don't be like American Express.